The price of iron ore and coal, two of the world’s most widely used minerals, has been rising since mid-2018 even as the US and China ratchet up tariffs. UBS, an investment bank, had been expecting the benchmark price for high-grade iron ore to slip back from $72 a tonne to $68 a tonne rather than rise to $76 a tonne, which is what’s happened. The price increase was good enough for UBS to tell clients with an eye on iron ore mining companies to “watch for earnings upgrades thanks to strong spot [short-term] prices”. So although tentativeness or anxiety about the macroeconomy in an era of trade nationalism is cited in some quarters for recent price dips in global staples such as oil, the commodity picture in Asia-Pacific has contrasts. What appears to be driving the rise in iron ore is Chinese demand for construction-grade steel used as “rebar”, or the reinforcing rods which strengthen concrete in high-rise buildings and civil works such as bridges. With exports of manufactured goods to the US shrinking, the Chinese government is falling back on a well-used plan of bolstering the country’s economy by encouraging domestic construction. The iron-ore price rise is a bonus for big miners such as BHP and Rio Tinto, which generate close to half their annual profits from the mineral. 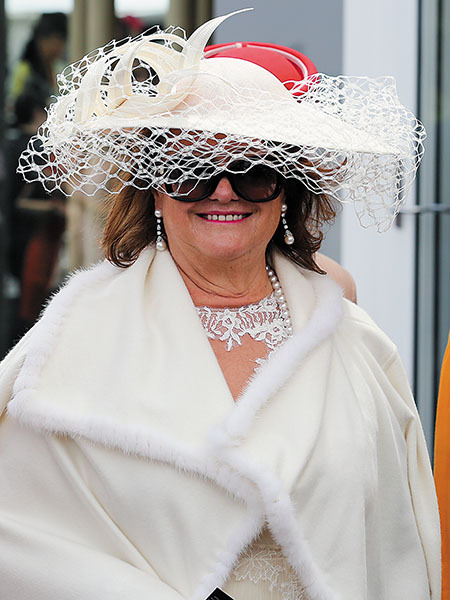 It will also be welcomed by Australia’s richest person, Gina Rinehart, who has extensive iron-ore interests, both as a producer and recipient of a royalty paid by Rio Tinto. In the year to June 30, the company Rinehart controls, Hancock Prospecting, lifted its net profit by 28 percent to $961 million. Her real-time wealth in November 2018: $17.4 billion. 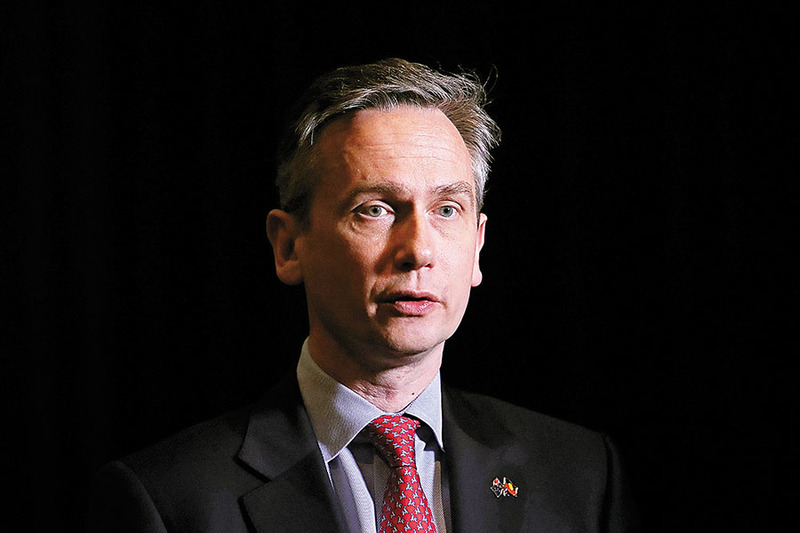 The chief executive of BHP, Andrew Mackenzie, and the CEO of Rio Tinto, Jean-Sebastien Jacques, see the current buoyant conditions continuing for their businesses, even as the trade war rumbles on. Mackenzie told shareholders at BHP’s annual meeting last month that “despite the escalation in trade tensions, our business has not been significantly affected”. He reinforced that point in BHP’s September-quarter production report, saying the company was on track to meet guidance for all of its commodities, except copper, which has been hit by production disruption at two mines. Jacques was even more specific, naming China as the reason for his optimism about the outlook. “The Chinese machine is still working very well,” Jacques says. “The mood is still pretty good.” Jacques adds it was not only the central government that was putting more money into the system and was “pushing” infrastructure, but the surge in construction activity was also happening at the provincial level, where public debt levels had been an earlier concern. Other mining company chief executives have also noted an uplift in their business as China stimulates its domestic economy. Mark Cutifani, CEO of Anglo American, says the mid-year fall in some commodity prices was overdone. “We’re still seeing growth and solid demand for literally all of our products,” Cutifani says. As well as iron ore, Anglo American is a big producer of copper, coal, nickel, platinum and diamonds. Ivan Glasenberg, CEO of Glencore, singled out the higher coal price as the biggest win for his company. While a controversial commodity, coal is benefiting from two eventualities: Strong demand in China and other fast-growing Asia economies where coal remains the dominant source of heat and power, and limited supply growth as investors, governments and banks turn against it.